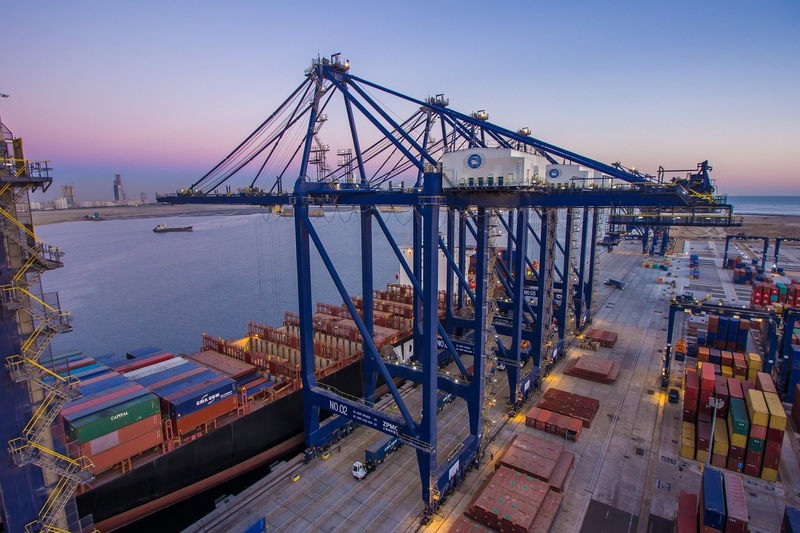 Hutchison Ports Pakistan, the country’s first deep-water container terminal, has set a new vessel handling record for Karachi, having handled 5,862 moves in just over 27 hours while servicing the 8,652-TEU Hyundai Brave. During the vessel’s stay, the terminal achieved a vessel operating rate (VOR) of 212.16 container moves per hour and a gross crane rate (GCR) of 35 moves per hour. Hutchison Ports Pakistan is the country’s most high-tech container port. This expanding deep-water facility is the only terminal in Pakistan that is capable of berthing the world’s largest vessels. The ultimate annual capacity will be around 3.2 million TEUs when the facility is fully completed. The terminal operator also holds the current national vessel handling record, achieving 2,683 moves in just over 13 hours on the 8,562-TEU vessel Hyundai Courage/ 064Ethat berthed in September last year. During the vessel’s stay, the terminal achieved a VOR of 203.4 container moves per hour and a GCR of 32.3. Since starting test operations on 9 December 2016, Hutchison Ports Pakistan has already broken the national productivity record four times. said General Manager and Business Unit Head, Captain Syed Rashid Jamil.